WARNING: *Check with your physician before beginning a supplement regimen. 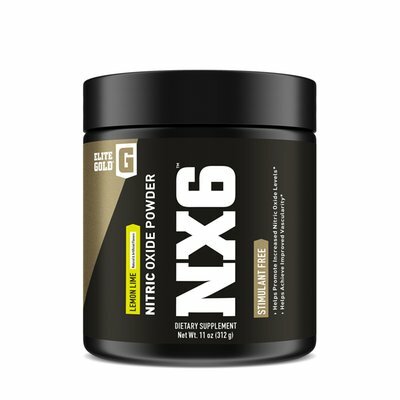 Mix 1 scoop (14 g) with 6 to 8 ounces of water, 30 minutes before training. Do not exceed more than 1 scoop in a 24 hour period. WARNING: Do not use if pregnant, nursing, or under the age of 18. Only use as directed. This product contains approximately 350mg of caffeine per serving, and may not be appropriate for stimulate sensitive individuals who may experience rapid heartbeat and nervousness. Do not consume with any other stimulants, including caffeine. May cause dehydration, nausea and/or dizziness with inadequate water intake. Consult a doctor before taking this or any other dietary supplement, especially if you have or suspect you may have a medical condition, or if you are taking any medications, over-the-counter products, or other dietary supplements. Immediately discontinue use and consult your doctor if any adverse reactions occur. Do not use if tamper-resistant seal is broken. Keep out of reach of children. Store in a cool, dry place. 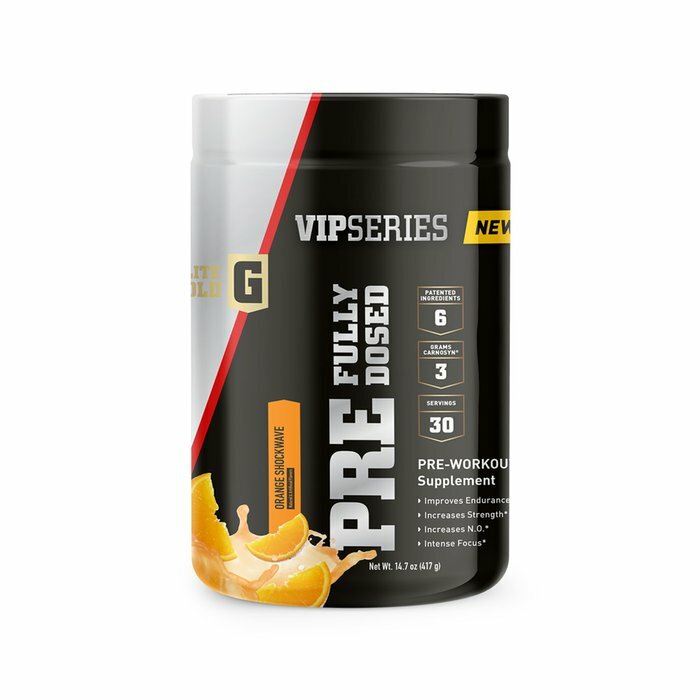 ELITE GOLD® VIP Series PRE is a scientifically formulated pre-workout engineered to optimize strength and performance. 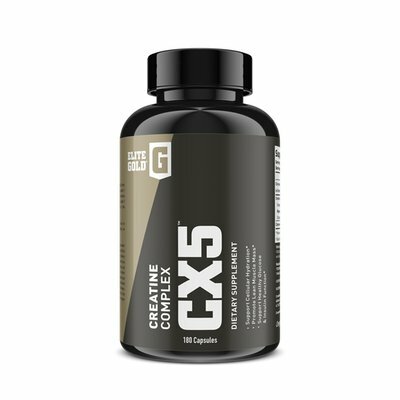 Featuring 6 clinically studied ingredients that have been shown to boost nitric oxide levels, increase focus, and enhance endurance. Dynamine®: Pure alkaloid found in kutcha tea leaves. Enhances focus, energy, and mood with no impact on the heart. Begins taking effect in minutes. Visit your local Complete Nutrition to get a free personal consultation.